This is a seven day program that is set in an industrial rescue context, and designed for industrial Emergency Response Teams. 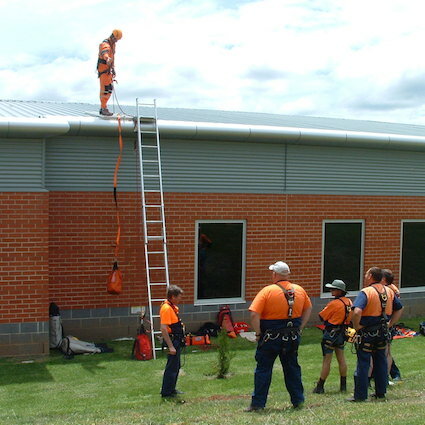 Ideally, attending students will have previous industrial working at heights training and experience, and be familiar with working in a harness and employing fall protection techniques. 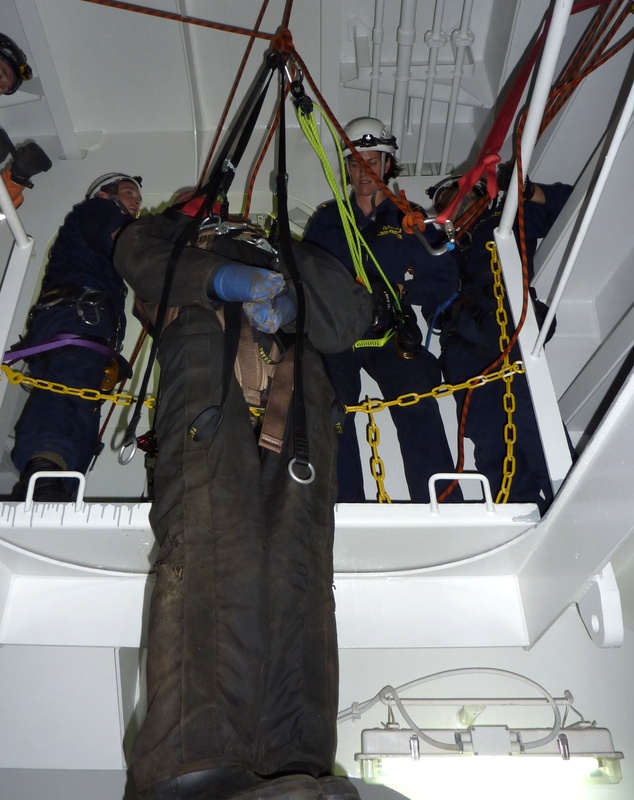 The Industrial Vertical Rescue training course looks extensively at potential rope rescue situations and situational variables such as confined space issues or moving plant. In addition, a series of complex team scenarios are used to put into practice the theoretical basis of the program. This course is offered on-demand to groups only and can be conducted either from our training facility or at a site suitable to you. Please contact us by completing our course enquiry form below or by calling 02 4784 2224 during business hours. 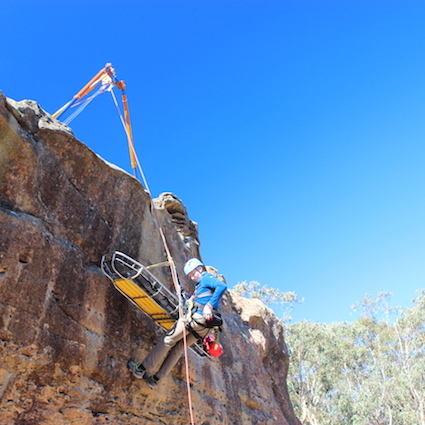 If you are an individual who requires training under PUASAR032A then you may like to take a look at the vertical rescue course scheduled for later this year. 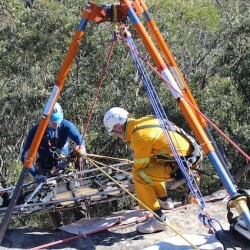 All rescue equipment is supplied for use during the course. In addition, students receive a comprehensive student manual. Students are, however, required to supply their own PPE.